We met Karen Tran – internationally renowned American flower designer – at an event in Apulia, where she asked us if we could help her organize a Masterclass in Florence. Together with Sandra Santoro, we were able to organize an incredible event, also thanks to the help and support by partners and sponsors. From the 2nd to the 5th of April, the St. Regis hosted Karen and her team, as well as 20 planners and designers from all over the world, who decorated the party hall with incredible floral arrangements. In the years, Karen Tran has made a name for herself thanks to her style, which is strongly recognizable in her magnificent centrepieces and rich flower walls. 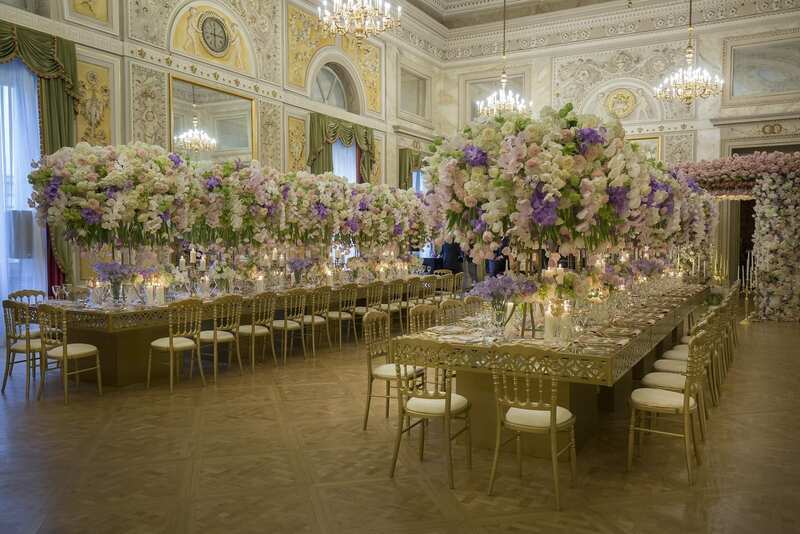 Besides taking care of events, she organizes her Masterclasses all over the world, aimed for wedding professionals – mainly flower designers – who wish to learn how to create stunning arrangements, study and try out Karen’s unique style. In a short amount of time, we were able to find the right partners for the event, thanks to the longstanding collaborations we have with our trusted vendors. With a team of professionals at work, the outcome of the event could not but be guaranteed: it turned out to be one of the most spectacular Masterclasses we ever attended! We want to thank our main sponsor, St Regis for hosting the event, David Bastianoni for photos, il Giardino delle Fatefor logistics support with flowers, Kaleydo for entertainment, Wedding Solution for furnishings, Luigi di Gregorio for video, and then also: Antonio Riva, The Wedding Letters, La Confetteria, Bottle up, Cassetti Gioielli, White Sposa, Villa Le Fontanelle, Rolands Catering.